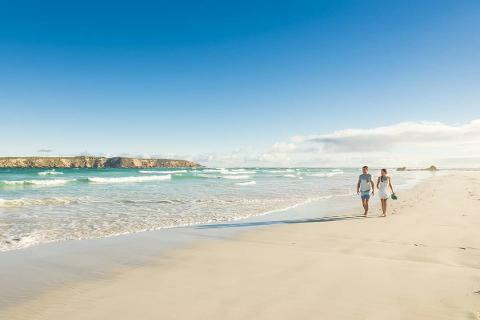 Travelling 45 minutes to our stunning Coffin Bay National Park with its abundance of wildlife and a walk on a footprint free white sandy beach at Almonta beach.Breath taking views to Golden island and morning smoko, we traverse back to the crystal-clear waters of Coffin Bay with ‘Pure Coffin Bay Oysters’ to learn about how their delicious oysters are farmed. 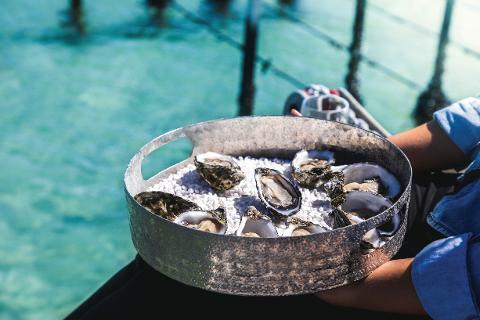 Taste the worlds most recognized and freshest oysters straight from the oyster lease, that you have learnt to shuck yourself. Feast on world class seafood during lunch at the iconic 1802 Oyster Ba. After our relaxing lunch we travel back to Port Lincoln experience the Eyre Peninsula’s first craft brewery to learn about their sustainable and unique brewing practices and taste their signature Eyre Peninsula Ale. 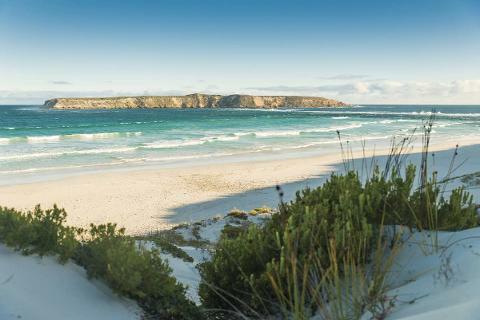 This part of South Australia is famed for its spectacular and diverse coastal scenery with clean fresh air, pure clear waters and pristine landscape everywhere you turn. 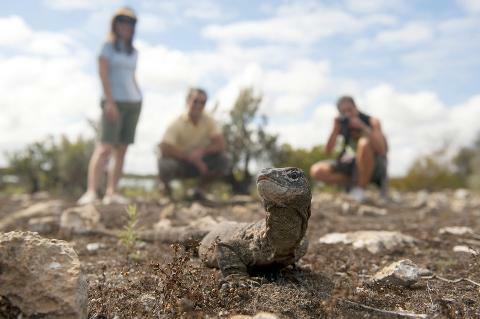 From rugged cliffs to white sandy beaches you won’t be able to put your camera away. 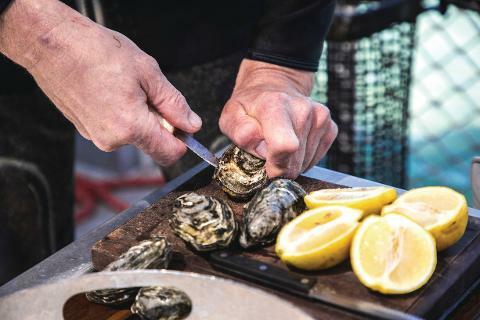 But its your taste buds that are in for a real treat today as you feast on delicious local produce including some of the freshest seafood in the world. 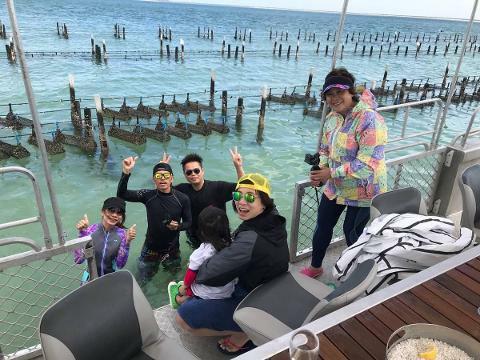 The scenery of the Eyre Peninsula is diverse and spectacular, and our local guide will share their passion and knowledge of this world class destination with you and show you all the hidden gems you would never otherwise find! 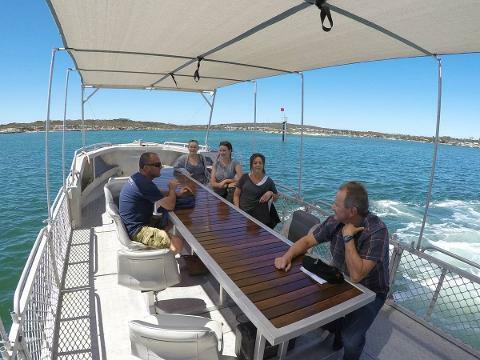 You will be picked across from the Makybe Diva race horse statue on the Port Lincoln fore shore at 9:30am and once everyone is on board we’ll start our day heading to Coffin Bay National Park, which features some of the most scenic coastline in South Australia. 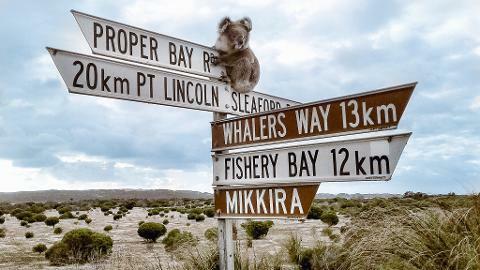 Take off your shoes and walk on the footprint free Almonta Beach and later have morning tea overlooking Coffin Bay National Park with spectacular 360-degree views. 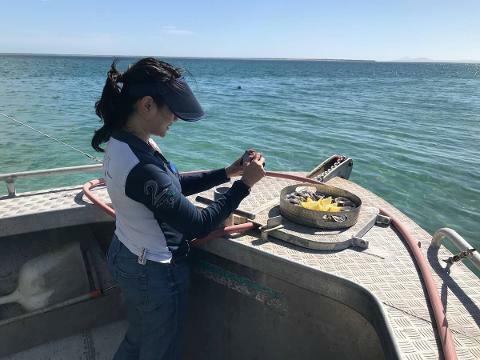 Next its time for the tour highlight boarding the boat and travelling with Pure Coffin Bay Oysters out to their oyster lease, learning about the industry, how to shuck your own oysters and then tasting them. 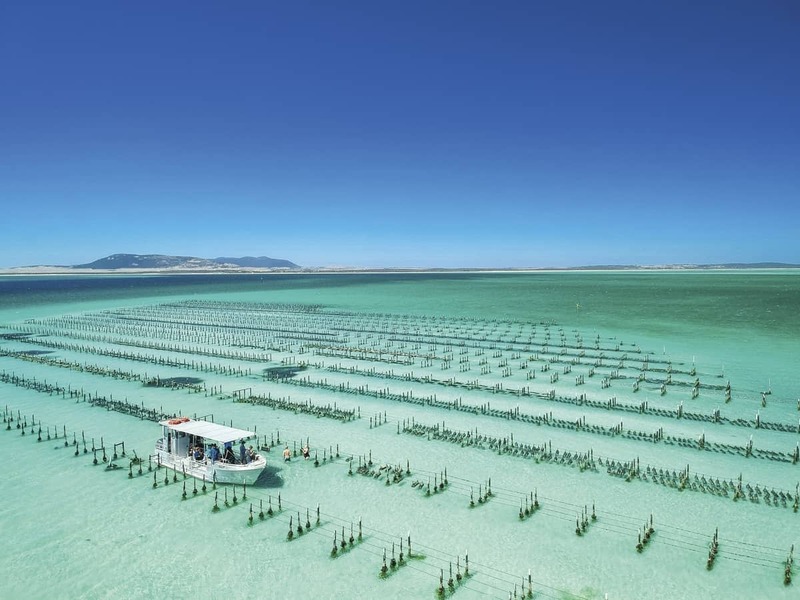 Then you’ll understand why Coffin Bay Oysters are recognized throughout the world, grown in the wild, just as nature intended. 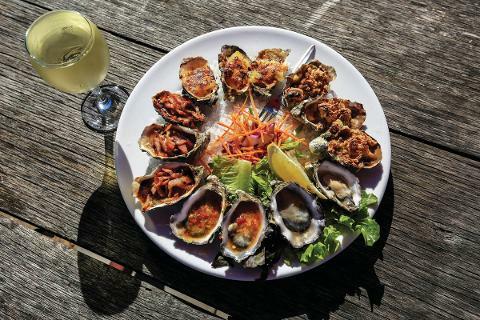 We’ll take a town tour from the boat before we sit down for lunch at iconic seafood restaurant - 1802 Oyster Bar, to sample more fresh Coffin Bay seafood of the region. If you are not a seafood lover fear not, there are lots of other options. 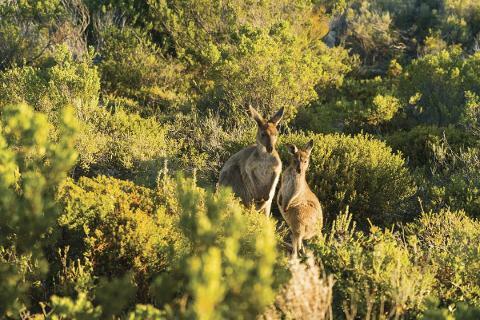 After a shared feast of local produce, we jump back onto the bus and on the way back into Port Lincoln visit our final destination is the Eyre Peninsula’s only craft brewery – Beer Garden Brewing, to taste their signature Beer, Eyre Peninsula Ale. 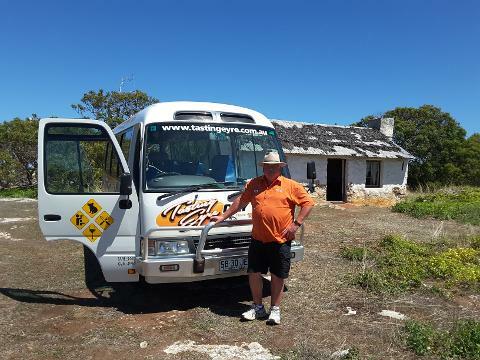 Not a beer drinker, that’s OK as the venue champions other great Eyre Peninsula products, cider, wine and coffee. 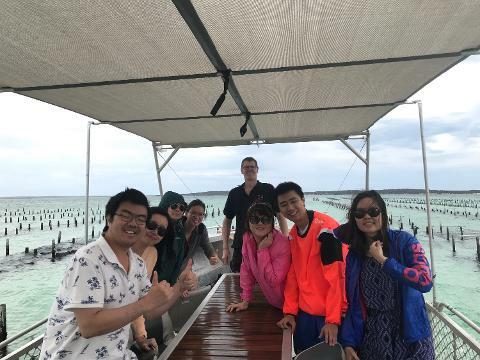 At the completion of the tour we will drop you back at the wharf in time to re-join the other passengers and tell them what an incredible day they have just missed!. Beer Garden Brewing Tasting – Fresh Eyre on Tap!